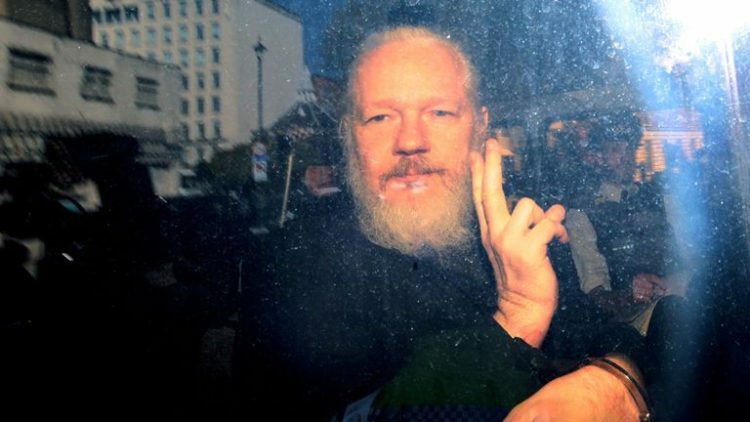 WikiLeaks founder, Julian Assange has finally appeared in court after a spectacular arrest from the Equadorian embassy after the Equadorian government withdrew his asylum. The 47 year old was taken into police custody for failing to surrender to bail, given a U.S extradition warrant. He was subsequently driven to court where a judge warned spectators in the public gallery against recording the proceedings. The long time whistle blower who had taken refuge at the U.K Knightsbridge embassy for almost seven years to avoid extradition to Sweden will finally be forced to face his accusers and answer other questions that have been waiting for him for years. He was being held on a warrant issued by Westminster magistrates court on 29 June 2012 when he failed to surrender to the court. The heavily bearded wanted man was filmed shouting as he was carried out in handcuffs by plainclothes officer and put in a police van shortly after 10am. The Australian national set up Wikileaks in 2006, his objective being to publish leaked confidential documents and images. In 2010, Wilileaks it released footage of US soldiers killing civilians from a helicopter in Iraq. His refuge at the Equadorean embassy in London was eventually reversed today after the new regime headed by Equadorean president Lenin Moreno had enough of what it described as continued violations and interventions of the internal affairs of other states. Mr Moreno said: “The most recent incident occurred in January 2019, when WikiLeaks leaked Vatican documents. This and other publications have confirmed the world’s suspicion that Mr Assange is still linked to WikiLeaks and therefore involved in interfering in internal affairs of other states.” Mr Assange also accused of blocking security cameras at the embassy, accessing security files and confronting guards. Authorities also want to question him over a sexual assault investigation which he strenuously denies and has always claimed to be part of an alleged conspiracy against him.